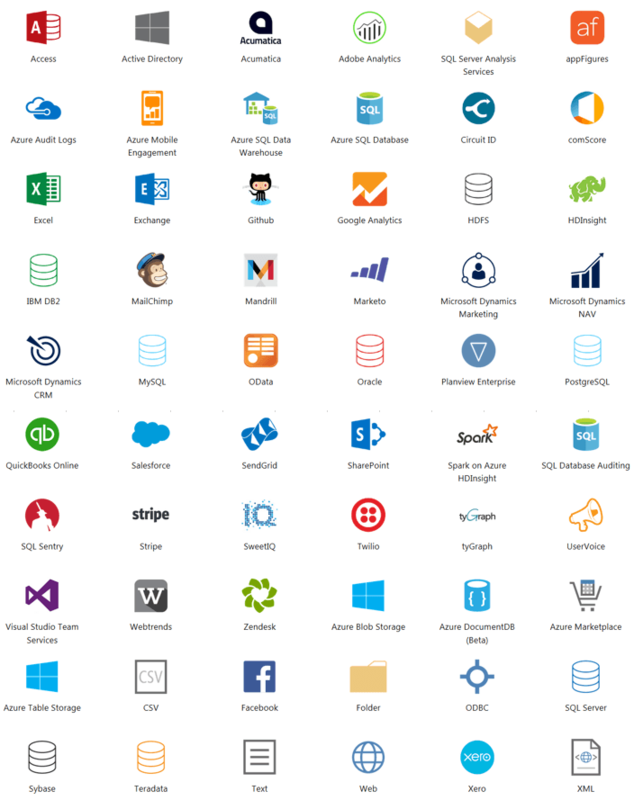 Have you heard about Power BI from Microsoft? Probably yes. However I guess most people are not yet aware of this amazing BI tool from Microsoft that enables you to build stunning interactive dashboards and share them on any device. If you want to know more about Power BI, you may want to join the free webinar by Mynda Treacy coming soon. Before that, here’s a quick overview on Power BI. Power BI is a free suite of tools you can download and install on your own PC (sorry, not for Mac’s). It’s not tied to Office so you are free to get updates without restrictions. With Power BI, Microsoft are bringing data visualisation and Business Intelligence (hence the ‘BI’) to the masses. Many of us have been using Excel to build interactive dashboards for years, but Power BI offers functionality we can only dream about in Excel. And the best part; Power BI is free! There is also a paid ‘Pro’ licence, but many of us can get by happily with a free licence. Power BI can get data from multiple sources so you can visualise it together in one report. And there’s 60 different data sources it can work with – click here to see the list. Building Power BI dashboards is super-fast with drag and drop navigation. Interactive visualisations allow users to cross highlight and filter by clicking on the charts (see example below). Allow users to drill down to lower levels and even underlying data (with your permission). Power BI takes the hassle of sharing dashboards out of the equation, enabling us to easily share reports on any device. Updating Power BI dashboards is easy too. Simply schedule a refresh so your dashboards are always up to date. Learning Power BI is a natural progression for the Excel user and if you’re already familiar with Power Query and Power Pivot then you’re most of the way there, since those tools are also used by Power BI. 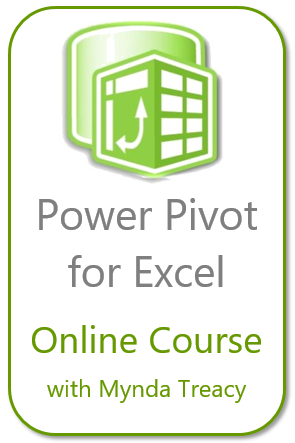 Tip: if your version of Excel isn’t compatible with Power Query and Power Pivot but you’re dying to get your hands on them, then Power BI is your answer since it comes with them included! 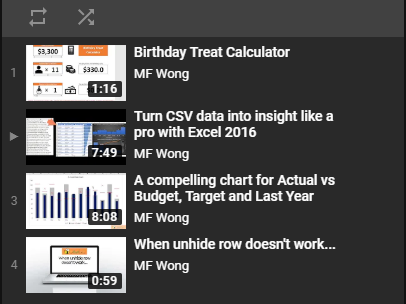 Power BI doesn’t care what version of Excel you have? Power BI is for the Excel user who is ready for more. More features, because Power BI Dashboards can do things you simply can’t do in Excel, and more skills to add to your resume. 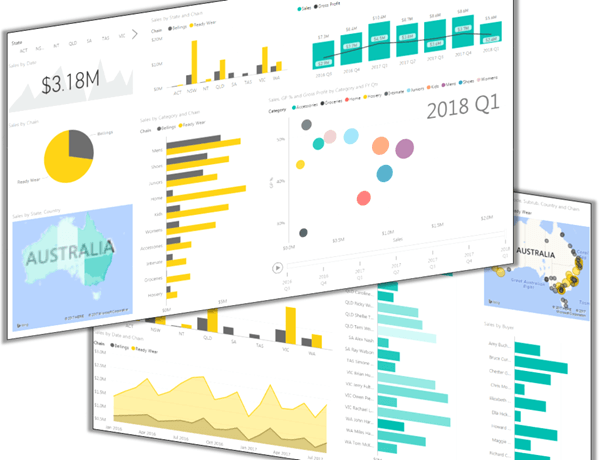 Free Power BI Webinar – Build 2 Dashboards in 1 Hour! Sound interesting and want to explore more? Please attend Microsoft Excel MVP, Mynda Treacy’s free webinar and see for yourself what is possible with Power BI. Click here to register for the webinar. Hurry, it’s only on for a limited time. You don’t need Power BI to attend the webinar but I’ll bet you want to install if afterwards so you can have a play around with it yourself. Feel free to share this to your friends and colleagues and invite them to attend Mynda’s free Power BI webinar too. They’ll thank you for it. This entry was posted in General and tagged Power BI, Training. Bookmark the permalink.